For centuries, the study of anatomy has played an important role in the education of artists. An understanding of anatomy constitutes the basis for the precise representation of human and animal forms, whether at rest or in motion. 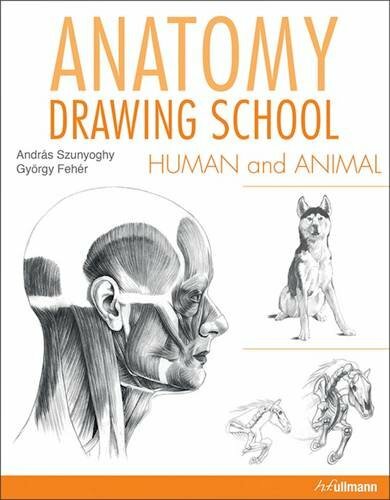 With more than one thousand detailed illustrations by the Hungarian master artist András Szunyoghy, Anatomy Drawing School offers an in-depth view into the anatomy of human beings and selected mammals. This effective combination of artistic and scientific depictions makes Anatomy Drawing School an essential reference work for painters, graphic artists, and anyone interested in anatomy.